The Board of Trustees consists of 52-57 members elected by the ICSC membership. The trustees provide critical input in helping ICSC achieve its goal of serving our members with excellence and proactively advocating and communicating the critical social, civic and economic role played by the retail real estate industry across the globe. 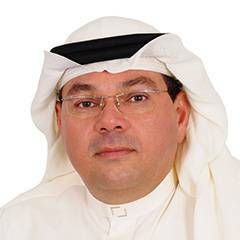 Mohammad Alawi has more than 20 years of experience in building-and-facilities operations and retail property management, and in the mall industry. He is an active member of the Middle East Council of Shopping Centres. Alawi is CEO of Red Sea Markets Co., owner of the largest shopping mall in Jeddah. He received the Lifetime Achievement Award for his service with ICSC–MECSC. 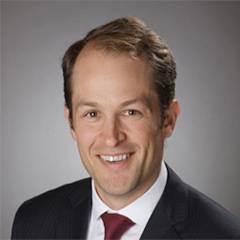 Peter Ballon is responsible for the Canada Pension Plan Investment Board’s real estate in the Americas, which currently encompasses investments in Canada, the U.S., Mexico and Brazil. Ballon is a member of CPPIB’s real estate investment committee, which has oversight of the firm’s global real estate investments, and he is also a member of the investment committee for CPPIB’s real estate debt program. He has over 20 years of commercial real estate experience. Since founding Bayer Properties in 1983, Jeffrey Bayer has been president and CEO, overseeing the strategic and operational direction of the company. He also directed the development of one of the industry’s first outdoor, mixed-use fashion centers in Birmingham, Ala. Bayer is a leader in Birmingham’s civic and philanthropic communities and holds board positions with numerous organizations, including the Birmingham Education Foundation, the Birmingham Civil Rights Institute and the University of Alabama President’s Cabinet, among others. He is a CCIM, a licensed real estate broker and a member of ICSC’s PAC Leadership Advisory Group, as well as having been state director of the Alabama-Mississippi chapter of ICSC. Trish Blasi is president of Borghese Investments, a developer and adviser to commercial real estate owners and investors. Borghese is actively engaged in the construction and redevelopment of mixed-use and retail assets, including value-added projects and urban high streets. 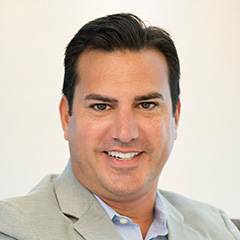 Formerly president of Terranova Corp., Blasi is an active ICSC member, serving as chairman of the association’s National Economic Policy Committee, as a member of its Foundation Board, and as its first National Lead Ambassador. Additionally, she has been co-chairman of its Open Air Centers Committee, chairman of the Southern Division Government Relations Committee and the Florida state director. 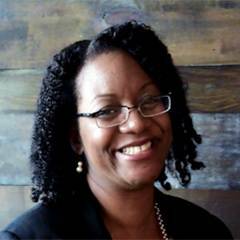 She is a member of the Urban Land Institute, serves on the editorial advisory board of NAIOP’s magazine and is a faculty member of the Center for Education. 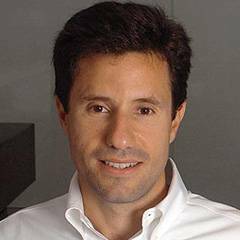 Anthony F. Buono is Global President of Retail for CBRE, the world’s largest commercial real estate services company. He leads more than 800 professionals in providing Advisory & Transaction solutions to retailers and real-estate investors across the globe. 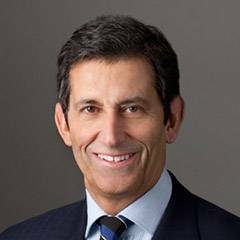 Since joining CBRE in 1995, Mr. Buono has served as Executive Managing Director of CBRE’s Americas Retail division and led CBRE’s Western-U.S. division for Investment Properties. Mr. Buono received his BS in Business Administration from San Diego State University. He is an active member of the International Council of Shopping Centers and the ICSC PAC Chairman Club. 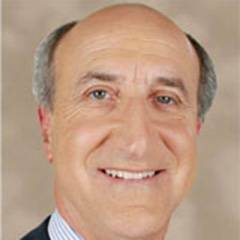 Mr. Buono is also a board member of JC Resorts in La Jolla, CA, and Street Sense, Bethesda, MD. 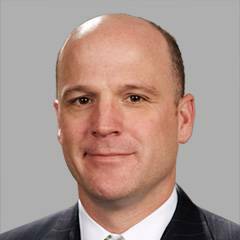 Scott Carr is chief executive officer of IRC Retail Centers. This firm, previously called Inland Real Estate Corp., was acquired by funds managed by DRA Advisors and currently operates as a privately held REIT. 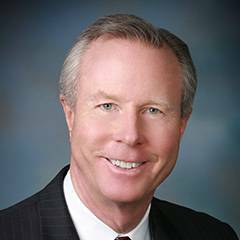 An ICSC member since 1996, Carr has been active on the Illinois State and the Government Relations committees and currently serves as co-chairman of the Open Air Centers Committee. 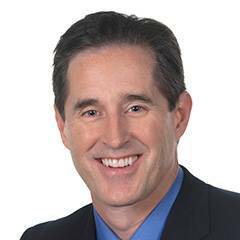 Carr is also a member of NAREIT and is a licensed real estate broker in Illinois and Minnesota. Since 2012 Joseph Coradino has been CEO of PREIT, a real estate company that owns and manages more than 40 shopping malls and retail properties primarily in the mid-Atlantic, with a concentration in Greater Philadelphia. 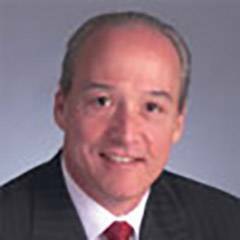 Coradino has been with the firm since 1998 and has served as a member of its board of trustees since 2006. 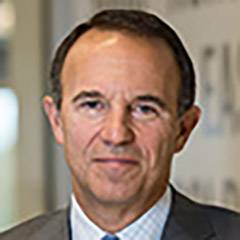 Coradino also serves on numerous other boards, including those of the Central Philadelphia Development Corp., the Greater Philadelphia Chamber of Commerce, the Drexel University Center for Corporate Governance, Philadelphia’s University of the Arts, and Temple University’s board of trustees. Coradino has been featured as a business leader in Scott D. Rosen’s book, Wisdom at the Top, and he has also been profiled in numerous business publications. 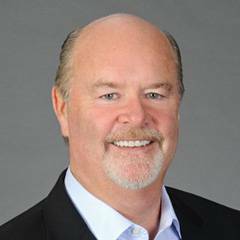 Executive Vice President, Real Estate and Property Development, The TJX Companies, Inc.
George Drummey is executive vice president of real estate and property development at TJX Cos., Framingham, Mass. As head of real estate, he is responsible primarily for the growth of the U.S. brands. 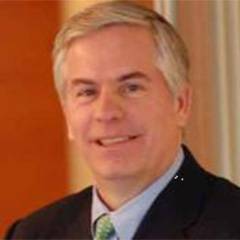 Besides being a member of ICSC, he serves on the board of Cardinal Cushing Center, in Hanover, Mass., and was chairman of the High School Building Committee of Framingham, Mass. 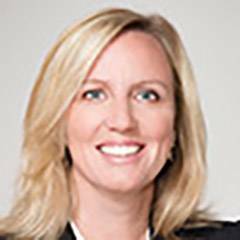 Kim Ellis is chief development officer at Artizen Advisors. Before this, she was senior vice president of store development at Regis Corp. A 24-year veteran of the retail real estate industry, Ellis was senior vice president of development at Panda Restaurant Group, parent company of Panda Inn, Panda Express and Hibachi-San. Besides being Citigroup’s global head of real estate, Thomas Flexner is a member of the executive committee of the company’s global corporate and investment bank. 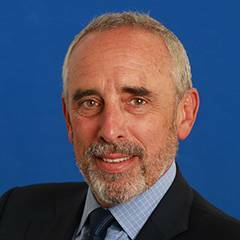 He is also a member of the management committee of the institutional clients group. Before this, Flexner was vice chairman of Bear, Stearns & Co. and chairman of that firm’s global industries group, besides serving on the board of the broker-dealer subsidiary. Flexner is also a board member and treasurer of The Real Estate Roundtable, in addition to having been a founding governor of the CRE Finance Council. Beyond all this, he is actively involved in other industry organizations. During the financial crisis he worked with various governmental bodies, including the President's Economic Recovery Advisory Board. Flexner authored the Federal Loan Extension Plan, which was widely cited in the media, and he is a frequent commentator on CNBC and Bloomberg. Flexner serves on the board of overseers of the Tuck School of Business at Dartmouth College, he is a trustee of both the Museum of the City of New York and of the Dutchess Land Conservancy, in addition to being a member of the Director’s Council of The Rockefeller University. 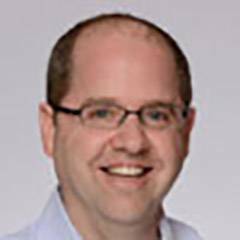 Jeff Gaul is head of development at Sephora. Before this he was senior vice president of global real estate and store development at Chico’s FAS. Before joining Chico’s, he filled real estate leadership posts at L Brands, Gap Inc. and Books-A-Million. 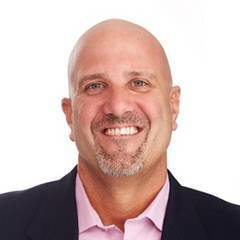 He was an ICSC state retail chairman and continues to be an active speaker for the association. 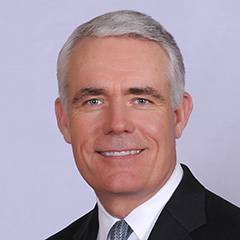 Mark Gibson is CEO and a founding partner of HFF, Inc., and he has been executive managing director of HFF LP since 2003. He has served on the HFF LP executive committee and was a member of the operating committee of HFF Holdings. 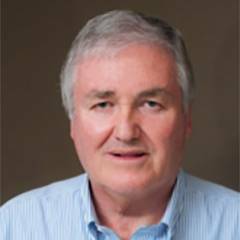 Gibson is a trustee of the Urban Land Institute and a member of its IOPC Council. In addition, he is a member of the Association of Foreign Investors in Real Estate, chairman of the University of Texas Real Estate Finance and Investment Center, a member of the board of visitors at UT Southwestern University Hospitals and Clinics, a member of the McCombs School of Business Advisory Council at The University of Texas at Austin, a board member of Baylor Health Care System Foundation and a member of World Presidents’ Organization and World Affairs Council. 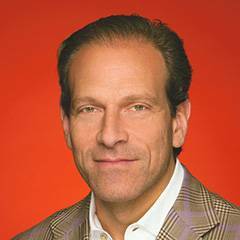 John Haugh is CEO and president of Iconix Brand Group. Before this, he was president of sun, luxury and retail services at Luxottica Retail North America. In this role, John leads Sunglass Hut, Ilori Optical, Optical Shop of Aspen and Apex by Sunglass Hut, as well as the real estate, design and construction activities of the North American retail brands of Luxottica Retail. He serves on the board of Aeropostale, where he is chairman of the compensation committee. He has served in other advisory and nonprofit board roles. Haugh earned a bachelor’s degree from the University of Wisconsin-Madison and an MBA from the International Institute of Management Development, in Lausanne, Switzerland. As chief real estate officer at Fitness International, William Horner directs the real estate component of the chain’s expansion. He previously was general manager of Hobie Sports and Latitudes, two lifestyle retailers whose expansions he oversaw at freestanding facilities and specialty centers, regional malls and other shopping center types. Karen began her career working at a law firm that represented hockey players and invested in mortgages. From there she was recruited to work at Canada’s premiere landlord Cadillac Fairview and held several positions in accounting and leasing. After a tenure of nine years at Cadillac Fairview, she left to join Gap Inc. in 2000 and launched the first Old Navy stores in Canada. 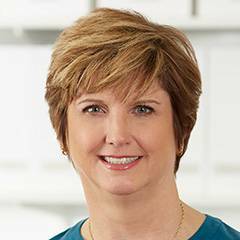 Karen spent fourteen years at Gap in various positions, leading several initiatives to improve the real estate portfolio for all of their brands in North America and Europe. In 2012, she was named the senior vice president, global real estate & construction for American Eagle. Karen led the launch of the AEO openings in the U.K. and rebalanced the store portfolio, creating greater process and efficiency. Prior to joining Aritzia as senior vice president of store development and new business development, she was the corporate senior vice president of global real estate for Ralph Lauren Corporation. David Krueger is Senior Vice President of Growth and Development at Ulta Beauty, the largest beauty retailer in the United States with more than 1,110 stores. In his role, Mr. Krueger is responsible for leading Ulta Beauty’s store development strategy, site selection, lease negotiation, construction, remodeling, maintenance, energy management and corporate real estate planning. Under Mr. Krueger’s leadership, Ulta Beauty is currently opening 100 stores a year. Prior to joining Ulta Beauty, Mr. Krueger was Vice President of Real Estate at Carter’s and Senior Vice President of Corporate Real Estate at Calere’s (Brown Shoe Company). Mr. Krueger received his bachelor’s degree in Civil Engineering from the University of Wisconsin-Madison and his MBA from Cardinal Stritch University. 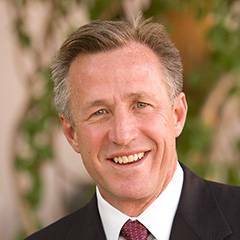 As a founding principal and chairman and CEO of Vestar, Rick Kuhle helped make the company a nationally recognized shopping center acquirer and developer in the Western U.S. He serves on municipal boards in Phoenix and is on the board of United Way. He is also a past chairman of the Phoenix Children’s Hospital board. In 2009 he was inducted into the Hall of Fame of the W.P. Carey School of Business, at Arizona State University. 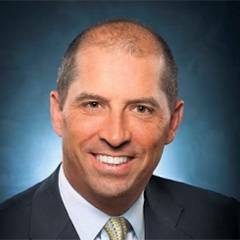 Jim Lampassi is vice president, real estate development for Barnes & Noble, Inc. He has responsibility for executing the real estate strategy for all 630 existing stores, as well as distribution centers and offices. 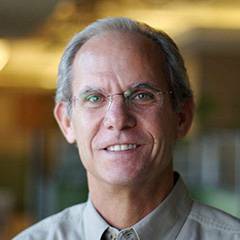 Jim is leading the company’s new growth and repositioning efforts. 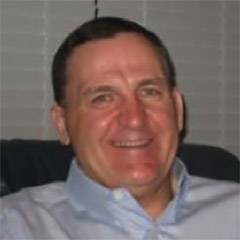 Jim joined Barnes & Noble, Inc. during July, 2017 after 10 years at Petco Animal Supplies Stores, Inc. where he served as vice president, real estate and construction. The company added nearly 700 stores, two new corporate campuses, and repositioned its distribution network under Jim’s leadership. Mr. Lampassi’s career began at Grossman’s Lumber, Inc. as a location research analyst. He went on to serve in growth leadership roles for great retail companies like Marshalls, Office Depot, Extended Stay America, Zoots, and Bed Bath & Beyond. 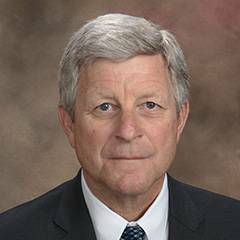 Jim has been an active member of ICSC since 1988 and a proud member of the Board of Trustees since 2013. He is a graduate of Salem State University with a Bachelor of Science degree in Urban Economic Geography (Urban Planning). 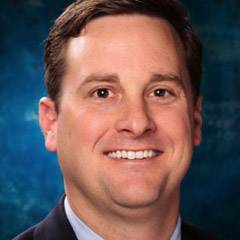 He also earned an Executive Master’s in Business Administration from Saint Mary’s College of California. As vice president of real estate for Target Corp., Laurie Mahowald oversees new-store growth strategy and roughly 1,800 existing stores across the country. Before this, she was director of property development for Target Canada, where she led property management, construction and store design. 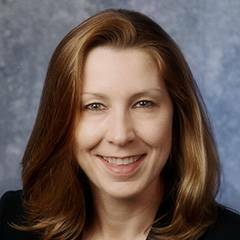 She is an ICSC Foundation board member and a member of the ICSC OAC Summit Program Planning Committee, as well as a member of the Urban Land Institute. 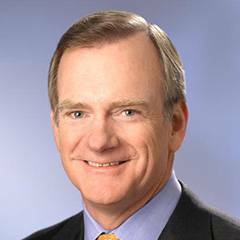 Greg Maloney oversees JLL’s retail business for the Americas. 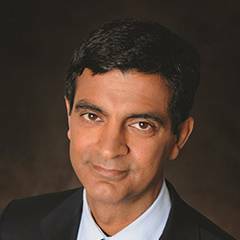 He is also chairman of both the JLL global and Americas retail boards. Maloney heads the firm’s receivership practice for all asset types: office, industrial, retail, hotels, land, multifamily, health care and senior housing. He has served on ICSC’s CSM Committee and is also a regular speaker at industry conferences and seminars. In addition, he serves on the ICSC Retail Green Committee and is a member of the Urban Land Institute. During Mark McDonald’s 35-plus-year career with AMC, he has worked in operations, finance, film programming, international and real estate. Today he oversees the company’s European operations and mergers-and-acquisitions teams, as well as its domestic and international development strategy. 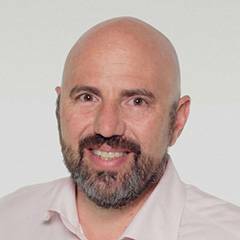 He has been involved with deployment of the company’s better-experience theater initiative, with regional business development in Asia and as business representative for joint ventures in South America and Europe. As managing director of the private, Houston-based Hines real estate firm, Kenton McKeehan is responsible for worldwide retail coordination, including acquisitions, dispositions, development, redevelopment and asset management in the U.K. and Europe. McKeehan has owned and operated grocery-anchored, lifestyle and power centers and enclosed malls. He has also been a tenant broker for restaurant and retail concepts. Carlos Medeiros has been BRMalls’ CEO since the company’s founding in 2006. BRMalls is Brazil’s largest shopping mall company. Before this, Medeiros was a partner at GP Investments, Brazil’s leading private equity firm. Medeiros has been a board member of such major Brazilian companies as GP Investments, Gafisa, Tele Norte Leste, Contax and Internet Group. 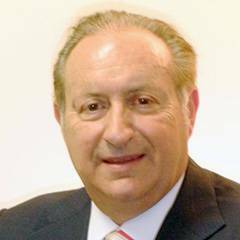 In 1992 Terry Montesi founded Fort Worth, Texas–based Trademark Property Co., which has since developed or invested in some $2 billion and 11.4 million square feet of lifestyle retail, enclosed malls and mixed-use properties across the country. The company portfolio includes such projects as Market Street–The Woodlands, La Palmera Mall, Watters Creek, Alliance Town Center and many others. Montesi was a principal and co-founder of Huff, Brous, McDowell & Montesi, Fort Worth’s largest commercial brokerage and management firm. Before that, he worked for Lincoln Property Co. He and his brother became Blockbuster Video’s fourth franchisee in 1986. He is active in the Fort Worth philanthropic community, serving on the board of the Union Gospel Mission of Fort Worth and as a member of the building committee at Christ Chapel Bible Church. He was director of the Modern Art Museum of Fort Worth and of Junior Achievement. 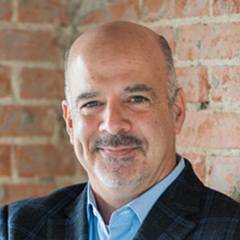 He is a member of World Presidents’ Organization’s Maverick and West Texas chapters; of the Urban Land Institute, where he served on the 2009 Awards for Excellence jury and was chairman of the 2006 Place Making Conference; and of ICSC, where he was a judge for the VIVA Design Awards in 2014 and 2015. He also served on the Texas Exes Investment Committee. He received an MBA from the University of Texas at Austin and a bachelor’s from the University of Mississippi. 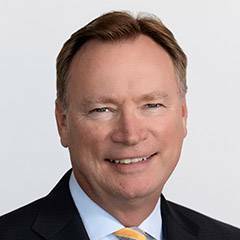 As an executive vice president and head of the Wells Fargo Commercial Real Estate Group, Mark Myers works for a firm that operates in 40 U.S. offices, plus one office each in Toronto and London. The firm provides banking and financing solutions to regional and national owners, operators and developers, institutional real estate funds and REITs. 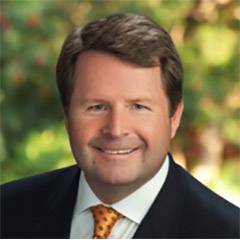 Myers is a member of the firm’s management committee and is on the policy advisory board executive committee of the Fisher Center for Real Estate at the University of California, Berkeley. He is also a council member of the Urban Land Institute and a member of the Real Estate Roundtable. 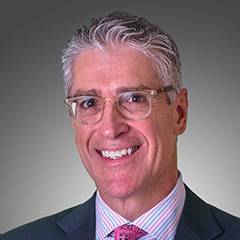 Brian Pall is a principal at Insight Equity Partners, a firm focused on the acquisition and development of real estate to create value by utilizing the partners expertise and the efficient use of capital. 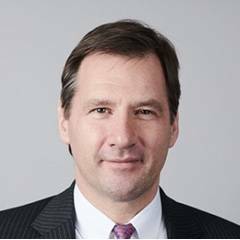 From 2012-2017, Brian was President of Real Estate at Hudson’s Bay Company (“HBC”), responsible for HBC’s North American real estate portfolio consisting of more than 28 million square feet of retail stores, distribution centers and office facilities, including banners such as Saks Fifth Avenue, Hudson’s Bay, Lord & Taylor and Gilt. From 2004-2012, Mr. Pall was President of Real Estate and Managing Director of NRDC Real Estate Advisors, NRDC Equity Partners and the Hudson’s Bay Trading Company. From 1987-2004, Mr. Pall was employed by The Great Atlantic and Pacific Tea Co., Inc. (“A&P”), where he most recently served as Senior Vice President and Chief Development Officer responsible for all of A&P’s US and Canadian store development and real estate operations, including its portfolio of shopping centers, stores, distributions centers, processing plants and office buildings. Brian graduated from Brooklyn Law School and the State University of New York at Oswego. 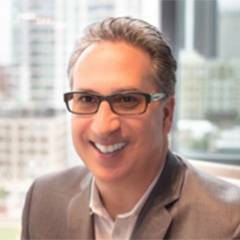 Robert Perlmutter became Macerich COO in 2016. He was the managing member of Davis Street Land Co., which specializes in the management, development and ownership of upscale shopping centers. Perlmutter is a member of the trustee board at Chatham Lodging Trust, which invests in upscale extended-stay and premium-branded select-service hotels. 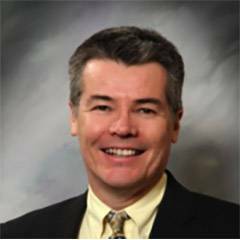 Mr. Petherbridge joined ShopCore in May of 2016 as President and Chief Executive Officer. He has over 15 years of financial and global real estate and management experience. Previously, Mr. Petherbridge was the Chief Financial Officer and Treasurer of DDR Corp., one of the largest owners of shopping centers in the United States. While at DDR, he served in various roles and was responsible for various capital raising activities, actively managing the balance sheet, maintaining strong lender relationships and executing various corporate level transactions. Prior to DDR, he was the Chief Executive Officer and a Director of shopping center owner EDT Retail Trust (formerly Macquarie DDR Trust). Before that, Mr. Petherbridge served as Director of Transactions with Rubicon Asset Management. While in this role, he worked on approximately $5 billion of transactions focusing on United States, European and Japanese real estate and real estate structured finance. Mr. Petherbridge holds his bachelor of commerce from Macquarie University. He is a member of the National Association of Real Estate Investment Trusts (NAREIT), the International Council of Shopping Centers, the ICSC Open Air Conference Committee and the ICSC Nexus Conference Committee. 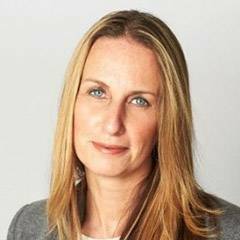 As President of IKEA Property, Inc., Angele Robinson-Gaylord leads the management team that oversees site acquisition, design, development and portfolio management of retail and logistics units for IKEA Property, Inc., the real estate development subsidiary of IKEA USA. Her previous roles at IKEA included Vice President of Real Estate & Development and Real Estate Manager. She was formerly with McDonald’s Corporation in Property Management in the US Restaurant Development division. At McDonald’s, she supported real estate issues for existing restaurants for a portfolio of approximately 1,900 locations. Prior to joining McDonald’s, she practiced law for over fifteen years in the areas of litigation and commercial real estate. Ms. Robinson-Gaylord holds a B.A. from Stanford University and a J.D. from George Washington University School of Law. She is a 2009 graduate of Project REAP, an industry-backed, market-driven program that serves as a bridge between talented minority professionals and commercial real estate companies looking for talent. 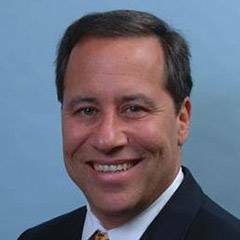 Mr. Siegel is a Managing Member of Open Realty Advisors. As a leader of Open’s tenant advisory business, Johnny is responsible for all aspects of Open clients’ retail rollout and asset management strategies. While being personally responsible for over a thousand lease transactions, Johnny managed the early growth phases for Restoration Hardware, J. Crew and Apple, taking Apple from zero stores to over 250 domestically and through its first ten stores in China and Hong Kong. Prior to joining Open, Johnny honed his management and real estate skills during a period of explosive growth at Michaels Stores, Inc., where he was Director of Real Estate Legal Affairs and a Real Estate Director. Johnny began his business career practicing real estate and corporate law in Dallas for five years. Johnny received a bachelor of business administration in Finance from The University of Texas at Austin and a Doctor of Jurisprudence from The University of Texas School of Law. Claude Sirois oversees the investment, operational and leasing activities of Ivanhoé Cambridge shopping centers in North America. He has some 25 years of experience in various sectors of the real estate business and was responsible for implementing the company’s investment strategies in Brazil and China. Before this current post as president of retail, he was executive vice president of North America shopping centers, responsible for investments and operations in Québec and for the oversight of construction. 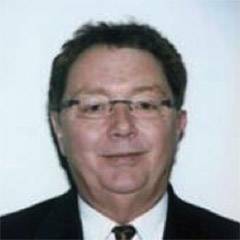 Brian Smith is chief executive officer of BMS Real Estate Holdings. Prior to his role at BMS, he served for 20 years as president and COO of Regency Centers, which owns, operates and develops grocery-anchored and community shopping centers. He had also served on the company’s board. 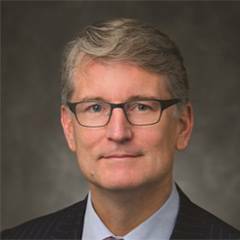 Smith started at Regency as a managing director for the Pacific, mid-Atlantic and Northeast divisions before being named chief investment officer, in 2005. 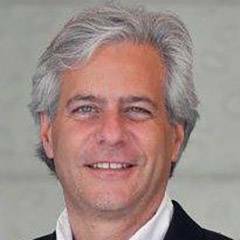 Arturo Sneider is a founding partner and the CEO of Primestor Development, one of the leading urban development and redevelopment firms. Sneider’s responsibilities include the sourcing of key acquisitions and project inceptions, project conceptual design, capital structuring and corporate management. 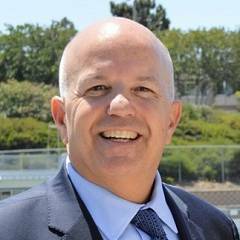 He has received the following awards: the Latin Business Association Business of the Year Award; the Los Angeles Minority Construction Firm of the Year; Person to Watch, by the San Fernando Valley Business Journal; the S.E.A. Business Pioneer Award; Business Person of the Year, by the Florence-Firestone Chamber of Commerce; HUB Cities Business Leadership Award; and the Latino Business of the Year, by the Los Angeles Business Journal. Primestor has consistently appeared on the lists of the top 500 Hispanic businesses and of the 100 fastest-growing companies. 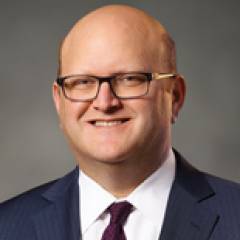 Sneider is a member of the Young Presidents’ Organization, a founding chairman of the Hispanic Initiative of ICSC; a board member of the Los Angeles Development Industry Advisory Council; and a board member and director of the Los Angeles County Capital Asset Leasing Corp. He serves on the Board of Alternative Living for the Aging and of the EXPO Center of Los Angeles, in addition to being a founding member of the Downtown Property Owners Association. Wynn Spencer is director of real estate at Bailey Nelson, Inc. Prior, he served as vice president of store development for Lululemon Athletica and supported the company’s store development team in North America. He also headed real estate for Toronto-based Shoppers Drug Mart, Canada’s largest drugstore chain. Spencer’s career in the real estate industry has spanned some three decades and includes development of roughly 1,000 new retail units under eight brands. His early experience includes development of brands in the oil, convenience-store and quick-serve restaurant sectors. He also worked with the largest developer of neighborhood and community shopping centers in Canada as its director of development. JP Suarez is the Executive Vice President and Chief Administration Officer for Walmart International, where he leads the teams responsible for Technology, Supply Chain, Global Leverage and Partnership Services. Prior to this role, JP was the head of Walmart’s Realty Division and was responsible for leading all of Walmart’s Realty functions, including site selection, prototype design, construction, store maintenance, fixture and equipment procurement, and portfolio management. JP has also been responsible for Business Development in Walmart’s International Division and looked after M&A activities, real estate and global format development. 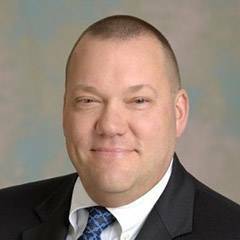 He has also been the General Counsel for Walmart International and US Sam’s Club, and was the SVP and Chief Compliance Officer. JP served five years as a board member on the University of Pennsylvania Law School Board of Overseers and on Walmart’s publicly traded subsidiary Massmart. JP’s previous experience includes serving as President Bush’s Assistant Administrator for Enforcement and Compliance at the EPA and as a federal prosecutor in New Jersey. He was also the Director of the N.J. Division of Gaming, where he oversaw New Jersey’s casino industry. JP has a B.A. in English and Drama from Tufts University, as well as a J.D. from the University of Pennsylvania Law School. Jim Sud’s responsibilities include real estate, mergers and acquisitions, and business development opportunities. Sud was a founding shareholder of Whole Foods Market and served on the company’s board from its inception until April 1997. Sud is currently a member of the company’s executive and global leadership teams. He serves on the boards of the Austin Theater Alliance, Texas Hillel and The Whole Kids Foundation. 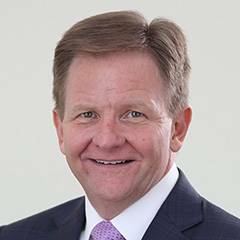 James M. Taylor Jr. has served as Chief Executive Officer and President of Brixmor Property Group since May 2016 and has more than 20 years of experience in the commercial real estate industry. From 2012 until joining Brixmor, he was Executive Vice President — Chief Financial Officer and Treasurer for Federal Realty Investment Trust and a member of Federal Realty’s executive and investment committees. At Federal Realty, he was also responsible for sourcing and evaluating business development opportunities for its East Coast portfolio, as well as for operational oversight of its Southeast portfolio. From 1998 to 2012, Mr. Taylor was a Senior Managing Director and the head of real estate investment banking at Eastdil Secured/Wells Fargo, where he successfully completed over $100 billion of public debt and equity offerings, M&A transactions, asset and portfolio sales, private equity placements, mortgage financings and bank loans for his real estate clients. 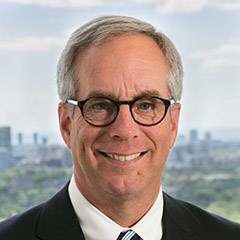 Prior to joining Eastdil Secured, Mr. Taylor practiced corporate and securities law at Hunton & Williams, with a focus on equity REITs, and also worked as a senior accountant for Price Waterhouse in Washington, DC. Mr. Taylor received a B.S. in Commerce and a J.D. from the University of Virginia, and he is a member of the Urban Land Institute (ULI). 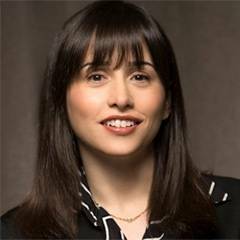 Dana Telsey is the CEO and Chief Research Officer of Telsey Advisory Group (TAG), which was founded in 2006 and has grown to be a leading equity research, trade execution, investment banking and consulting firm, focusing on the consumer space. In 2015, Ms. Telsey formed Telsey Consumer Fund Management LP, an asset management firm utilizing a long/short strategy, investing in consumer-based companies. Ms. Telsey has followed over 100 companies during her 34-year career. 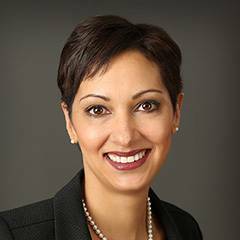 From 1994 to 2006, she was at Bear, Stearns & Co. Inc., covering the retail sector as a Senior Managing Director. Prior to working at Bear Stearns, she was the Retail Analyst at C.J. Lawrence and Vice President of the Baron Asset Fund at Baron Capital, Inc.
Ms. Telsey is a regular guest analyst on both CNN and CNBC and other major news networks. 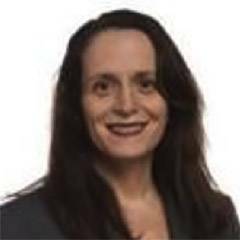 Ms. Telsey graduated from Hobart-William Smith Colleges with a BA degree in History and Spanish and received her MBA from Fordham University. In his role as executive vice president of real estate for Express, a publicly held, dual-gender fashion brand, Doug Tilson sets the strategic direction for store locations and real estate strategy across the U.S., Canada and Puerto Rico. He also oversees store design and construction, as well as real estate and legal matters. 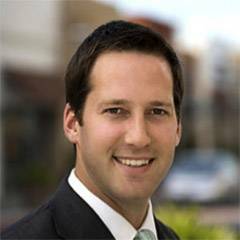 Before this, Tilson was senior vice president of leasing at Steiner & Associates, a commercial real estate developer that specializes in new town center concepts. From 1999 to 2005, Tilson was senior vice president of real estate for Tween Brands, and he also held several senior real estate positions with Limited Brands. 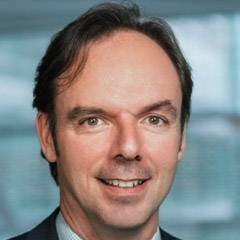 Jaap L. Tonkens joined Unibail-Rodamco’s Management Board as General Counsel in 2009 and then became Chief Investment Officer in 2010. He was promoted Chief Financial Officer on July 1, 2012. He retains the supervision of the group’s investments in his current position and has been a member the management board since September 1, 2009. 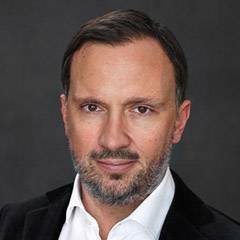 Prior to joining Unibail-Rodamco he was a Managing Director at Endurance Capital, a private equity firm in New York. Then he worked at Morgan Stanley & Co. (1994-2008), first in London and then in New York, where he was a managing director in the Leverage & Acquisition Finance department. Prior to that, he worked at Shearman & Sterling in New York and Paris for more than four years. Jaap Tonkens is a graduate of the University of Leiden in the Netherlands and of Emory University in Atlanta, GA (USA). Born in 1962, Jaap Tonckens is a Dutch and US national. As a successful property developer and investor, Jeff Zidel has been involved in the property industry for some 40 years. Currently, he is deputy chairman of Fortress Income Fund, a REIT listed on the Johannesburg Stock Market. He is also a co-founder of Resilient REIT, serves as president of the South African Council of Shopping Centres and is director of the South African Property Owners Association. Zidel was three times president of the Roodepoort Chamber of Commerce & Industry. He received the 2010 Absa Jewish Achievers Listed Company Award. The ICSC Executive Board is responsible for the governance and oversight of matters affecting ICSC's activities. The Board of Trustees has recognized special contributions of distinguished leaders for their services as volunteers. There's a membership option for you, whether you work in the retail real estate industry or have a professional interest in connecting with those who do.